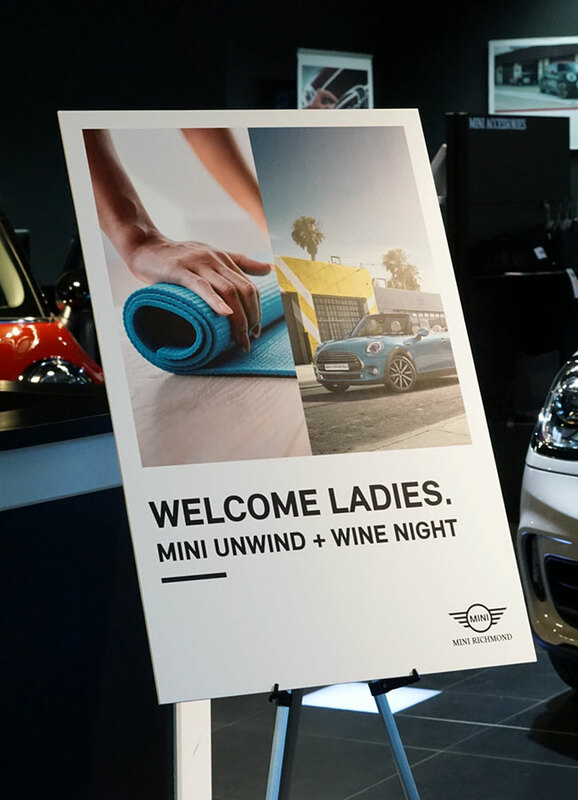 View our event video here and read below to learn all about the event. It’s a familiar sight—turning into the parkade full of MINIs that are glossed to perfection. Our senses tingle with excitement as the front doors opened warm welcomes all around from our ever-friendly team. Everything else, though? It was an entirely new experience for all. 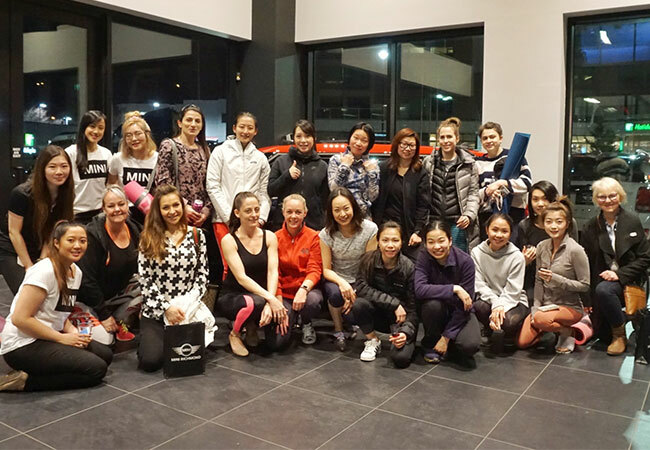 As a first for MINI Richmond, we were so humbled and excited to host a Women’s Yoga Night for our valued clients and guests. 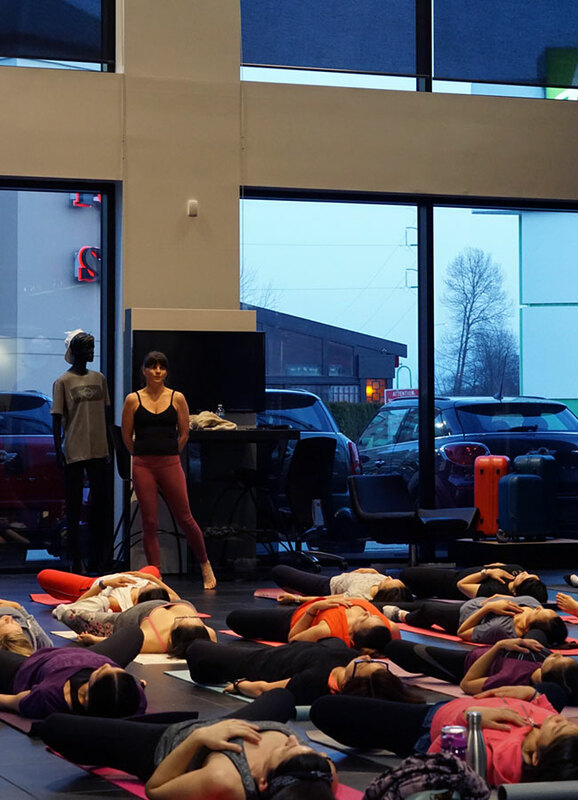 What was once our showroom area transformed into an incredible yoga studio; it was embraced by natural lighting coming in from every corner during golden hour. It was a treat for our lovely guests to unwind with the sky. 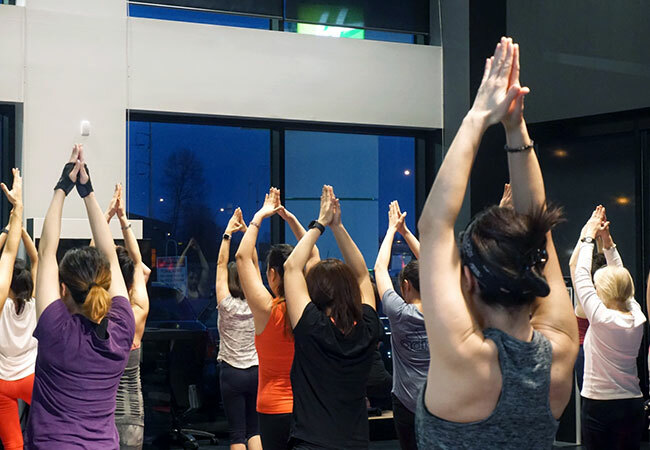 Led by the charismatic Cedar Lyn, the session was a transformative experience that was beginner-friendly but also challenging enough for the experienced yogis on their toes. Thank you Cedar for your amazing presence! As we saw the sun rest, it was time for everyone’s favourite part: refreshments! Now that our bodies were rejuvenated, it was time to do the same for our hunger. 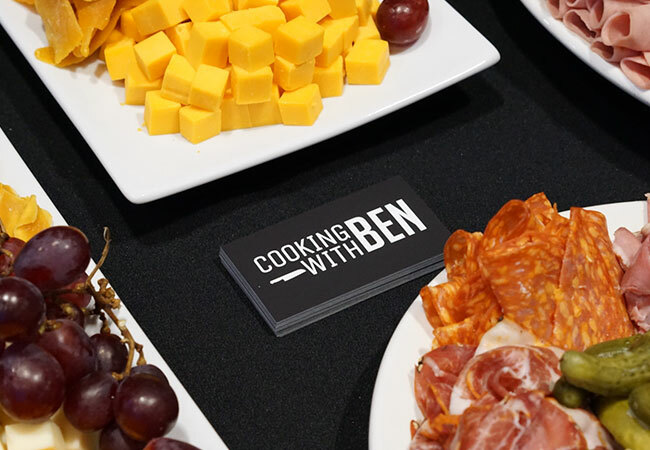 We had the talented, Cooking with Ben, to whip up a custom menu of classic delights with a twist. READY FOR A WRITTEN FOOD TOUR? 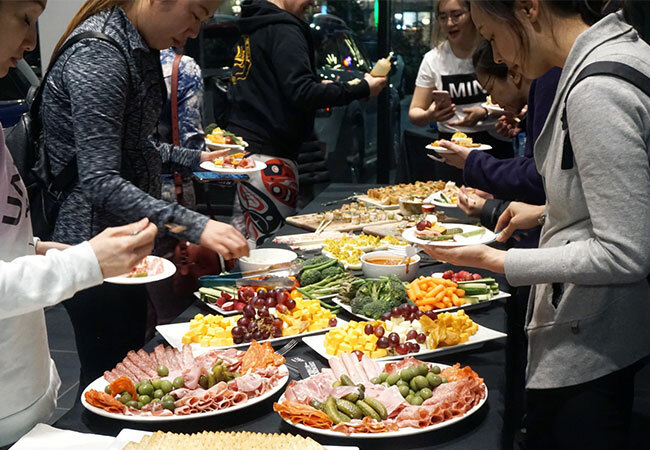 We began with a crowd-pleasing cheese and meat platter, followed by a balanced vegetable plate with ssamjang and ranch sauces, then some heavenly deviled eggs garnished with furikake. We moved on to the superstar slabs of aburi sushi fired to excellence, and finally, Hawaiian rice cakes crusted with coconut caramel crisps to transport us to a Pacific paradise. Needless to say, these were total hits with our guests and staff alike. Let’s not forget the wine, served chilled with red and white options! 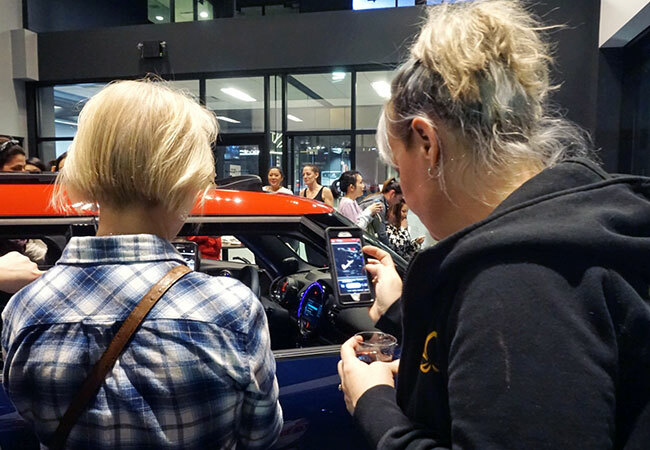 We ended our night with the ladies finishing their last bites and checking out the new 2019 Clubman which is perfect for everyone, and more than just a small car. This little beast wowed the crowd with its phone syncing abilities and effortless capability to store anything and everything, including our memories from that evening. Interested in joining some of our events in the future? Stay in the loop by subscribing to our email list. 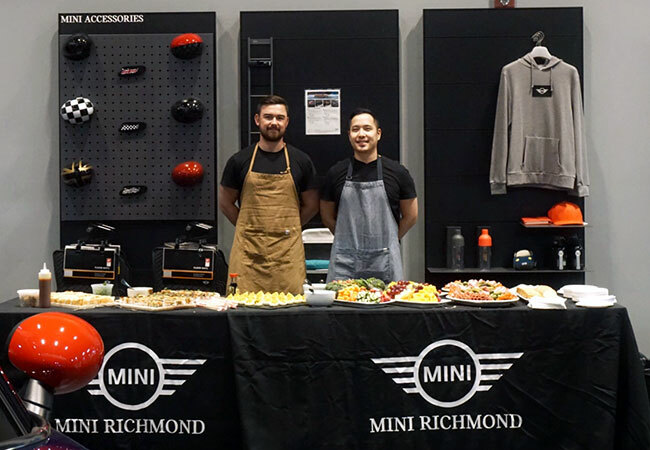 Got ideas for our MINI Richmond team to host? Feel free to drop a message anywhere; we appreciate your feedback!